DividendMax»Company Coverage»Country:United States»Exchange:New York Stock Exchange»Sector:Pharmaceuticals & Biotechnology»Company:Bristol-Myers Squibb Co.
Bristol-Myers Squibb is a global producer and distributor of pharmaceuticals and other healthcare-related products. 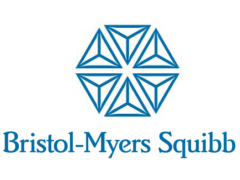 The merger of Bristol-Myers with Squibb in 1989 created what was then the world’s second-largest pharmaceutical enterprise. The company’s key business areas cover pharmaceuticals, infant formulas and nutritional products, ostomy & advanced wound care, cardiovascular imaging and over-the-counter products. The company has a good track record of increasing dividends slowly over the past few years.